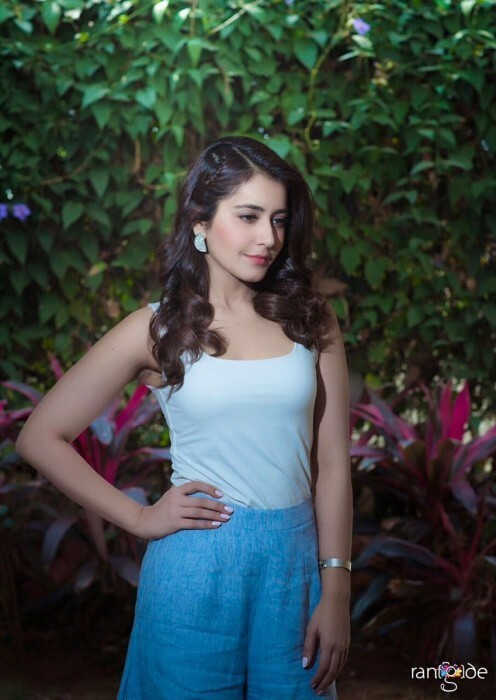 The lovely Raashi Khanna is arguably one of the most talented young stars in Tollywood today. And, at present, she is going through a good phase in life. Her latest release Tholi Prema turned out to be a hit and helped her establish herself as a solid performer. During a recent interview with a leading daily, she said that playing a college student in Tholi Prema was a bit hard as she wasn’t sure about how youngsters behave/dress in Telangana. “The most important thing about this part was to have relatability with college students, and I was told that kurtis and things I wore in the film were how girls dressed,” he added. She also added that her entire team helped her get the right look for Tholi Prema and that made a big difference. “It was a team effort and I did the acting parts. The bangs for young Varsha was an idea contributed by my hair stylist Venkatesh. The glasses was the idea of our DOP, George C William I wear XL size of the glasses in real life and he got the idea from there and we had Varsha,” she added. Talking about her career plans, Raashi said that she loves taking up challenging roles as they can help her grow as an actor. She also confessed that a role like Varsha may not come her way every day. “I do try to look at scripts and keep an eye out for challenging roles. But, scripts like Tholi Prema won’t keep coming, and I still have to keep going,” added the actor. We wish her good luck and hope that her upcoming films too do well at the box office. At present, she has Jayam Ravi’s Adhanga Maru and the Nithiin starrer Srinivasa Kalyanam in her kitty.